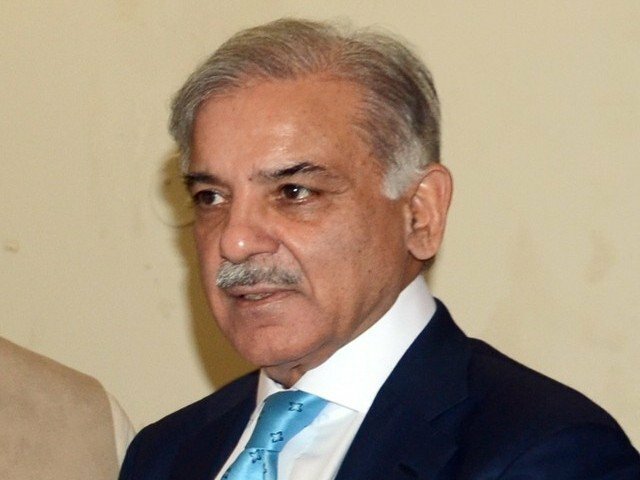 An accountability court in Lahore on Thursday approved the National Accountability Bureau’s (NAB) request for a seven-day remand of the Leader of the Opposition Shahbaz Sharif. The PML-N president appeared before the accountability court where Judge Syed Najmul Hassan was hearing NAB’s request. Insisting that he had not committed any corruption, Shahbaz told the court that NAB had not achieved anything from all the physical remands granted so far. The NAB prosecutor objected, saying that today the merit of the case was not being discussed — only the request for the transit remand. Shahbaz told the court that his family was not given permission to meet him this week despite the court giving an order. “I told NAB that meeting [them] is my right, it is not some favour. But NAB did not let me meet my family,” he said. NAB prosecutor Waris Ali Janjua in response implied that no one had come to meet Shahbaz. The court ordered the director general (DG) NAB to allow Shahbaz to meet his family according to the law and added that a meeting should be arranged once a week. The court also ordered that Shahbaz’s medical check up be conducted. This is the third time NAB requested Shahbaz’s transit remand. On November 10, Shahbaz’s physical remand was extended until Nov 24. Earlier, on November 6, an accountability court in Islamabad had extended his transit remand until Nov 10. During the hearing today, the NAB prosecutor asked for a seven-day transit remand of the PML-N president, which was approved. Janjua said that the speaker of the National Assembly had issued production orders for Shahbaz and added that his physical remand was ending on Nov 24. The PML-N president’s lawyer said that NAB should be given transit remand of Shahbaz till Nov 24, adding that a seven-day transit remand was not required. The lawyer said that when Shahbaz’s physical remand ends, he will be presented in the Islamabad accountability court. Janjua said that if the NA session ends before Nov 24, Shahbaz should be presented in Lahore. The court inquired how long the session was, to which Shahbaz responded, “I have neither a newspaper nor a TV, I don’t know”. NA Speaker Asad Qaiser had issued a production order for a third time to enable the leader of the opposition to attend the upcoming session of the lower house of parliament starting from Friday, sources told . The session has been summoned by the speaker on the requisition of the opposition which wanted to discuss a number of issues, including the alleged political victimisation of the government’s opponents by NAB. The opposition submitted the requisition notice signed by 88 members soon after the prorogation of the assembly on Nov 9. The opposition has submitted a five-point agenda with the notice for discussion during the requisitioned session. The agenda includes a discussion on “use of NAB as a tool for political coercion, government’s 100-day performance, economic situation in the country, especially the alarming price hikes and inflation, progress of China-Pakistan Economic Corridor and law and order situation in the country”. This is the second time that the speaker has had to summon the assembly session on the requisition of the opposition since the Shahbaz’s arrest by NAB on Oct 5. Security arrangements have been tightened today and a large contingency of police have been deployed around the accountability court. Roads leading to the court have also been closed with containers.